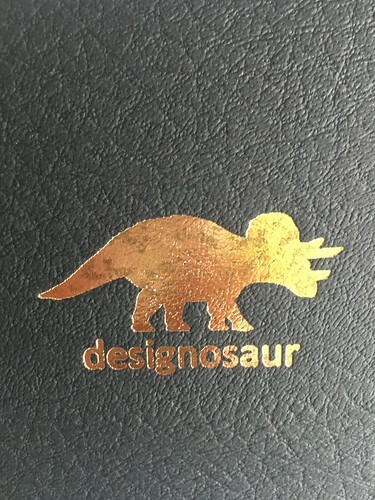 t*rexes and tiaras: Designosaur? Yeah! I guess the eagle-eyed Instaviewers out there will have already seen this, but it's so cute that I wanted to share some more photos of it. 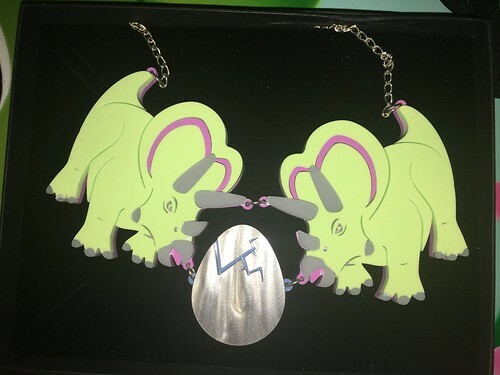 A lovely birthday gift; I was very excited to receive this DesignosaurYEAH necklace. I've had a necklace from them in the past and frankly love it. My George necklace has seen a lot of wear and is still a firm favourite, so I already have a fondness for the brand. Anyhow, I was super excited to open this present and really love the design of the necklace. Those pastel shades are perfect together, in my opinion and I love the levels of detail. 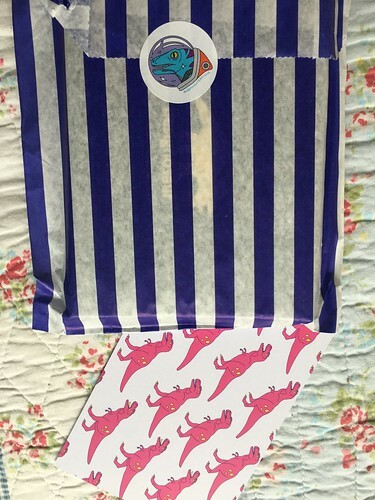 Bravo, Designosaur for always making such lovely things!